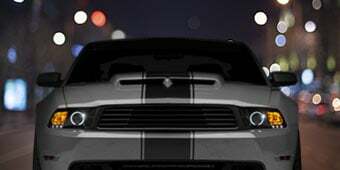 Please select options for Ford Performance Coil Covers w/ Powered By Ford Logo - Blue (11-17 GT; 12-13 BOSS 302; 15-19 GT350) at the top of this page. 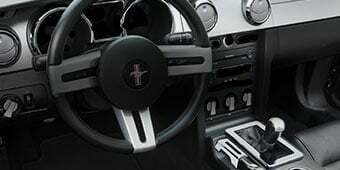 Hey, guys, Stephanie with AmericanMuscle.com here with these BOSS Coil Covers from Ford Racing for 2011 and up GT and BOSS Mustangs. The Ford Racing BOSS 302 Coil Covers are a very quick and easy way to add a little something to the engine bay. Covers can go a long way for the appearance of the 4-valve coyote, and these are the same exact coil covers that are on the 2012 BOSS 302 from the factory. So now you can bring a little bit of that style to your GT. The blue is really going to stand out under the hood, and we're going to install these for you in a minute here so you can see what they look like, how they fit, and just how easy they are to install. But there are a ton of customer submitted photos on the product page for these on different colored cars with different under hood setups do you can get an even better idea of what they might look like on your own car. 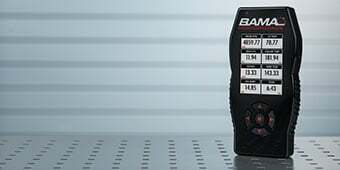 The fact that these are actually a Ford factory product is great because you know that you're getting a quality product that's going to fit perfectly. Like I said, these are original equipment for the BOSS 302. 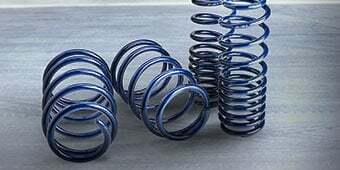 They're molded from a durable heat resistant composite material, which means that they're made to hold up for a life in the engine compartment. They obviously have the Powered By Ford logo on them, and if we look closely at these here, these are really cleanly made. You can see the clean lines and these don't look sloppy at all. They're also sturdy, and they don't feel like they're gonna break easily. As far as price, you're looking at spending just under $80 for the pair here. Like I said, these are a Ford OE product, and they're molded from a blue material so you won't have to worry about paint chipping or fading. There are some other options that are available if you aren't digging the blue covers, but they are going to cost a little bit more. So the install here, if we want to call it an install, is very easy and should only take a few minutes. The coil covers are in an area that can get very warm, though, so I wouldn't try to install these while the engine is still hot. It would be easiest to wait until the engine bay is cool. The things that are going to need to be removed are the oil cap on the passenger side of the car and the PCV tube. There's a gray ring with a small release pin on it that you slide along the side of the tubes so that you can pull the PCV valve towards you. The stock coil cover can be removed by just unsnapping it from the mounting points, and the new coil cover slides into position and then you just press to get it to snap into place. The oil cap and the PCV tubes need to go back into place and that's about it. The install's the same for both sides minus the oil cap on the driver's side. So you don't even need any tools or experience to throw these on there. Like I mentioned earlier, and you can see right here, these do fit very nicely, and that makes for an easy install and a clean look. So wrapping things up here the Ford Racing BOSS 302 Coil Covers are an easy and fast way to add a little something to the engine bay. They are the same coil covers that come from the factory on the BOSS 302 so you know that you're going to get a quality product that's built to last. 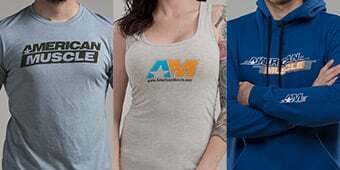 They are very easy to install and they fit perfectly, and you can check them out more online right here at AmericanMuscle.com. Boss Styling. Add a touch of the "BOSS" to your Coyotes engine compartment with a set of Ford Performance Coil Covers. These are the same exact blue coil covers that are featured on the 2012 and 2013 Boss 302 models, and now you can have them for your very own 5.0 Mustang. Superior Quality. These Ford Performance Coil Covers are molded from a durable heat resistant composite material that are completed in a bright blue finish and feature the "Powered by Ford" logo embossed on both covers. Application. This pair of Ford Performance Coil Covers with Powered By Ford Lettering is specifically designed for use on the 2011-2017 GT, BOSS and 2015-2019 Shelby GT350 Mustangs. Includes Driver and Passenger Side Covers. paint resistance to engine heat Will the paint hold up, without any damage, with the intense heat in the engine compartment...especially in the hotter areas of the country...or are these just for a car show and should to be removed before driving? Absolutely! 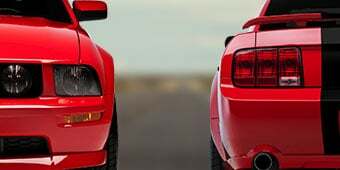 These coil covers are molded from durable heat resistant composite and are painted with the same high temp paint and clear coat Ford uses on the Mustang's exterior for a perfect match. Yep... paint holds up. I am running a pair on my Blaze Yellow Boss #1494 and they look good. I live in central TX now. High ambient temps and engine heat haven't caused any problems. Will these fit a 5.4 32 valve modular motor? These Ford Performance Coil Covers will not fir a 5.4L 32v engine. Are these not being made in different colors anymore? At this time, the Ford Performance Coil Covers are only offered in blue and black. 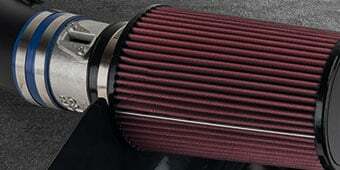 The black coil covers can be found here: https://www.americanmuscle.com/frpp-gt350-coilcovers-black-1116.html. I tried Ford Blue DE1601 and DE1606 engine paint and neither match. Does anyone know what blue this is so I can paint my engine cover to match? We are unaware of a paint color that will be an exact match for the Ford Performance Coil Covers. Since these are a blue plastic, and not a painted finish, matching the color with paint may be difficult. The Ford Performance BOSS 302 Coil Covers feature a bright blue finish which can be compared to the iconic "Ford Blue" color. Hello! 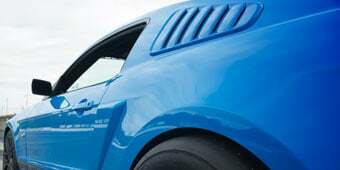 These Ford Performance BOSS 302 Coil Covers are only available in a Bright Blue finish. Definitely brightens up dull grey engine bay, easy to install. A little pricey for plastic! Easy mod to add a little color in the engine compartment. I want to black out the Powered by Ford lettering. Love it would and so will you makes your engine look better than stock!!! 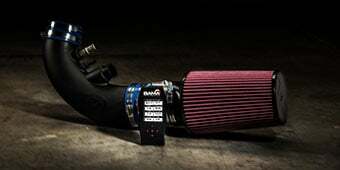 Awesome product, adds color to engine compartment. I love these blue coil covers, it brightened up my engine bay and they came a day after I ordered them. Thanks American Muscle. Got thiese covers to add some color under the hood. Extremely easy install. Made everything pop a little more. Very happy with the end result. The blue looks good. I also picked up a blue filter for my JLT CAI which gave the engine bay some life. I tried painting my stock covers before this purchase. Obviously my painting skills were not that good. Easy to install when you disconnect battery terminals and remove strut tower brace. Looks great. Covers look great under the hood. Actually bought them for my fathers F150 because they don’t have these on the Trucks site. Probably took 10 minutes start to finish and it was only that long because the trucks don’t come with the ball studs and had to install those as well. Great quality Ford Performance product. 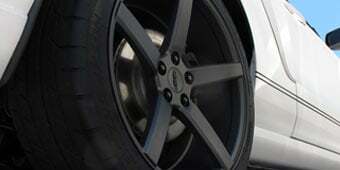 They look awsm great product it really changes the look of the car and really easy to install. Simple to put on maybe 5 minutes that's old ones off new ones on. Looks pretty cool for a cheap and fast small upgrade. Good Looking Voil Covers I Love Them Thanks AmericanMuscle!!! Bought these to give my ride a nicer look under the hood. Took less than 10 minutes to put them on. Very satisfied with the look as it more appealing than the stock silver covers. High quality pieces and they were a breeze to install. I had the old ones off, and the new ones on in about 5 minutes. Would have been faster, but I had to go find a thin screwdriver to reach the tab to take the driver’s side PCV hose off. These covers are not only rediculously easy to install, but the finished product is breathtaking! For less than $100 your engine stands out from the rest, I would recommend these to anyone who feels that the stock covers are dull and love that ford blue! Absolutely worth the money!